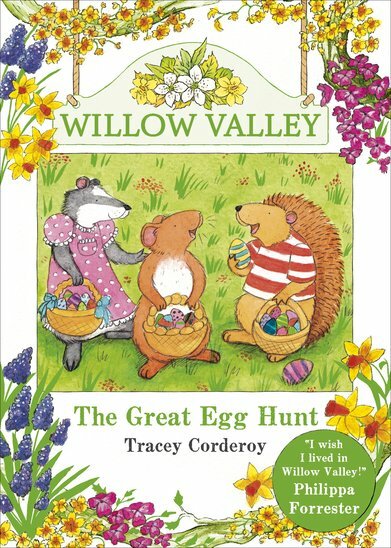 A charming spring story, perfect for Eastertime. Willow Valley is a very special place. A hidden valley nestled among rolling green hills, where pretty flowers dance in the shade of beautiful trees. Riley the mouse, Starla the badger and Horatio the hedgehog are waiting for a visit from the Hoppity Bunny. Every year they wake up to find painted eggs all over the valley, and there’s a treasure hunt to find them. It’s going to be such fun!